Sterling Pool Service specializes in swimming pool leak detection and repairs in Collin and Dallas counties. Sterling Pool Service has a proven track record for locating leaks and performing these repairs. Whether leaks exist in your pool’s plumbing, skimmer, or gunite, we will diligently work to find them. Once we have found the leaks, we will submit a written bid for the repair. Call us to discuss our leak detection services, or to simply discuss whether your symptoms actually indicate a leak. It is important that you get this done and get it done right! Customers frequently call with a suspicion that there pool is losing water. Wind, water temperature, and other things all affect the evaporation rate of a swimming pool. Thus the evaporation rate can vary significantly from one day to the next or even from one pool to another. The Bucket Test can help determine if water loss in a swimming pool is due to a leak or normal evaporation. 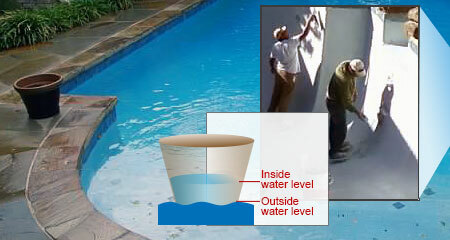 By performing this simple test, you will be able to compare the water levels of the pool and the bucket. This will give a greater insight to whether or not your swimming pool may be leaking. Make sure the pool is filled half way up the tile, which is the proper water level. Fill a container and place it on your top or second step, level with the pool water. Mark the water level on the outside of the bucket with tape or a marker. Run the system 24 hours. If the water level in your pool is lower than the bucket, you may have a leak. 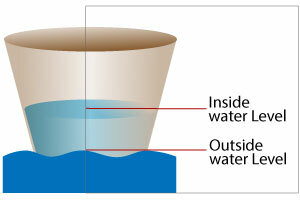 Normal evaporation will occur in the bucket but it won’t lose water. If the water level in the pool dropped, make a note of how far. If it is several inches in 24 hours, you may have an underground leak. Refill pool to proper water level and maintain this level so the system doesn’t “run dry” and burn up the equipment. 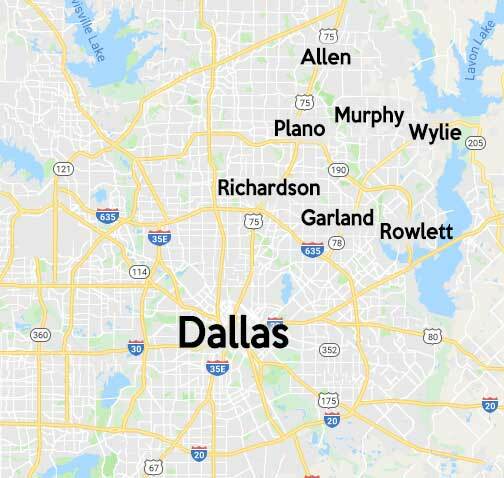 Sterling Pool Service can help you with many types of equipment pool repairs in Sachse, Wylie and Garland, (and surrounding areas of Murphy, Allen, Plano, Richardson, and Dallas). If you have any questions below about any of these special services, please give us a call at 888-973-0274. Or simply fill out this easy form here.